A leader in upstream technologies for oil recovery and production poised to provide Omani market with a competitive advantage in Heavy Oil and Gas industry. Nakasawa Mining and Energy Ltd. (Nakasawa), a leader in upstream technologies for oil production boasting offices in North America, Latin America, China and the Sultanate of Oman, recently appointed Al Nahdha Al Omaniah Co. LLC (NOC) to be its exclusive commercial representatives in the Sultanate of Oman, a strategic move that Nakasawa officials believe will provide the Omani market with a competitive advantage in the Heavy Oil and Gas industry. Founded in 1973, today’s Al Nahdha Al Omaniah group of companies represents one of the Sultanate of Oman’s leading engineering, contracting and trading organizations, bringing with it an impeccable reputation within the Omani community for its various projects completed on behalf of the Government of Oman – among others. As a premium grade contractor, NOC is registered with the Government Tender Board, Petroleum Development Oman (PDO), Ministry of Defense, Occidental Oman/Muscat Municipality, Diwan of Royal Court, Royal Oman Police and a myriad of other government-oriented bodies. 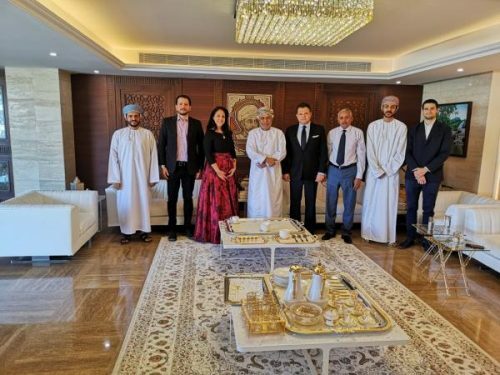 “By electing to partner with an established and reputable entity in Oman, Nakasawa will be able to share with NOC a common goal of not only wanting to stimulate recuperation of heavy oil in Oman mature fields, but also to further stimulate the Oman market economy as a whole,” says Federico Molina, Media Public Relations Manager for Nakasawa’s U.S. operations in Miami, Florida. “Indeed, one of the purposes of this partnership is to establish a facility in Oman that will ensure a timely and proper service to the industry by introducing our engineering designs and professional workmanship. Since its inception, Nakasawa has been guided by a founding principle – innovation – and its representatives believe it is the key to sustaining the development of oil and gas production to meet the world’s growing energy demands. The company strives to work with only the best professionals and most precise technologies in order to provide premium upstream Enhanced Oil Recovery (EOR) solutions, all while optimizing recovery for its clients so that the lifecycle of their reservoirs are extended beyond their natural timeframe, the environmental impact is minimized and their projects benefit from the increased return on investment. In the United States, Nakasawa is located at 175 SW 7th Street Suite 2104 in Miami and can be reached by calling (786) 220-6444. For more information visit https://www.nakasawaresources.com or email info@NakasawaResources.com.